Credit card debt is one of the biggest problems consumers have when it comes to their finances. In fact, CNBC shares that 70% of Americans with credit card payments cannot pay it off this year. That is a pretty bold statement which depicts the present financial status of American consumers. However, there are a number of ways how to interpret this. It is possible that a big number of consumers spend a lot during the holidays and unable to pay everything this year. Some might be going through some difficult times and theri card payments are the least of their worries. Then there are people who feel content with their current payment and does not have an idea how minimum payments affect their finances. 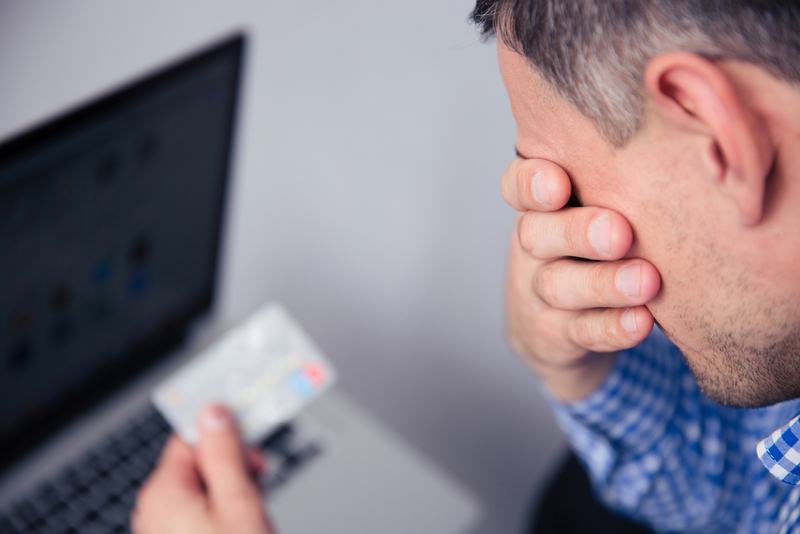 Incurring a big credit card debt can take away a lot from your finances. For one, you will be paying a lot on interest for paying only the monimum amount. You are also exposed to the risks of falling behind on your payments and incurring high fees and penalties. Not to mention how it will affect your credit score and make it difficult for you to take out loans in the future. That being said, it is important to get back financial control when it comes to credit card payments. Here are a few things to look into which can help you do just that. One of the most important steps you can take to address credit card debt is to understand why you are in that position in the first place. It is highly unlikely that you woke up one morning and you suddenly have that credit card bill. There is a good chance that this amount accumulated over a specific period of time. There is a reason why you are in debt and you need to get to the bottom of it. As you dig deeper, you might find that you are spending a lot on clothes and even footwear. It is easy to think that this is the reason why you are in debt. However, it might be more than just buying clothes. If you look closely, you might be trying to compete with the people around you. FinanceIt is also possible that you have developed this habit because you tend to shop when you are feeling down. You resort to retail therapy to deal with extreme low points in your life. The rush you get from buying and having new things in your life lifts up your mood. However, that does not last and the effects will reflect on your finances. You need to understand why you are overspending and landing on debt. Once you understand why you are in debt, the next thing you need to do is assess your debt obligation. It is not enough that you have an idea what your debt payments are. You need to know every single one of them. Not only is this important to getting back financial control but it is part of your repayment efforts to know what your responsibilities are. What you can do is take time and effort in making a list of all your credit card payments. You can start by writing down all your different credit cards. It would be better if you can put in details for each card. It can be the name of your lender, the interest rate of the card, the cut-off for payment on the card, as well as your credit limit on the card. The next step is making a list of all your expenses on each card. You need to make sure that you write each and every one of them. You can put the date, the amount, and even a short not why you made the purchase. This list shows you all your card expenses and ahy. It will even give you an idea if you are already nearing your limit. As you tackle your payments, it is also a good idea to try and look for ways to prevent the same thing from happening again. You do not want to be in the middle of unmanageable debt all your life. This is why you have to take positive action in enduring you do not wake up one day and you are in the same situation. If you believer that the reason why you are in debt is because you do not know how to manage your finances properly, then be proactive and look for financial classes. You can read e-books, follow professional experts, or even work with a debt relief company. Not only will they explain your finances in detail, they can also help you get out of debt safely. Incurring unmanageable credit card debt can be a big challenge to take on by your own. This is true especially if you are either doing it for the first time or you simply lack the knowledge to do so. There are debt relief companies who specializes in getting you out of debt. They can show you many ways to give you back control over your finances. One of the very first things the would do is get an idea where your finances are and even what your goals are. This will give them a better idea what your problem is and how to solve it. It is a crucial step because there is no one solution for all types of financial debt. They need to understand you situationand what you want to achieve. After they have a better understanding of your current finncial situation and where you want to be, they will start laying out a plan how you can reach your goals. For your debt, there are a number of debt relief plans you can consider. Some of the more popular optios are debt consolidation and even debt settlement. A trusted debt relief company will make sure that you understand your options. They will also sput off their fees for later and not ask for any upfront costs. While you pay down your debt, it would be a great idea to start thinking how you can focus your efforts and energy into positive financial efforts. For one, you can start looking at the idea of saving money if you have haven’t started with one. Saving for emergencies is a great goal to focus on. Not only will it help you prepare for emergencies but help you lower down your stress level. It is important to manage and get ahead of credit card debt before it gets out of hand and puts you deep in financial trouble. There are a number of ways to go about it but you need to start now and have the commitment to see it through.